We run a regular coffee morning for Deaf and Hard of Hearing people in the Bristol area. 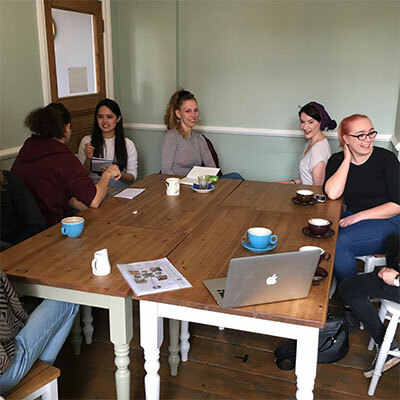 The coffee mornings take place between 10.30am and 12.30pm on the first and third Tuesday of the month and we currently meet at the Bowl of Plenty cafe on the ground floor of the Colston Hall in central Bristol. The coffee mornings are attended by members of our staff and volunteers and there is always someone there to chat to. Everyone is welcome: Deaf or Hard of Hearing, and partners and friends can of course come too. No need to book – just turn up! The full address of the venue is Colston Hall, Colston Street, Bristol BS1 5AR.